Professor Koreisha specializes in the areas of forecasting, mathematical model building, applied econometrics, energy modeling, production analysis, and manufacturing strategy. 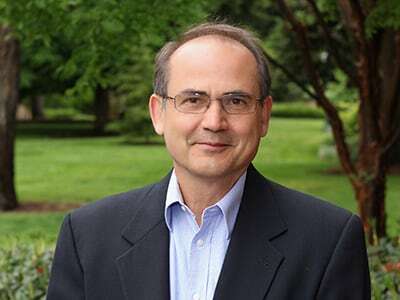 Some of his latest works in forecasting include articles on new fast estimation methods for large-scale, multiple-time series models, new approaches for identifying the mathematical structures governing the behavior of economic time series, and how causality among economic and business variables might be ascertained and used to formulate more accurate models. He has taught courses in Europe, South America, and the Pacific. He also provides consulting services for companies interested in doing business in Brazil. Before obtaining his doctoral degree, Koreisha worked as an industrial engineer for Weyerhaeuser and as a planning and distribution analyst for Clorox. He has taught executive management programs and consulted for industry and the U.S. government. Our Department of Decision Sciences is now the Department of Operations and Business Analytics, better conveying the value and importance of our course offerings and research in this area. We hope the season finds you in good cheer, honoring fond traditions and creating new memories. Koreisha, Sergio, and Tarmo Pukkila. "The Specification of Vector Autoregressive Moving Average Models." Journal of Statistical Computation & Simulation, 74, no. 8: 547-565.